After 03 working days (or shorter with less in the case of an urgent visa), we will send you an approval letter (pre-approved visa letter) by email. Then you just need to print the PDF file (color preferred, but not required) and prepare at least 2 passport sized photos (4cm x 6cm). 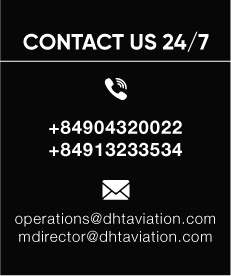 Upon arrival at Vietnam’s the airport in Hanoi, Danang, or Ho Chi Minh, Cam Ranh airport, our duty supervisor will assist you to do visa on arrival based on the approval letter and pay for the stamping fee. The actual hassle-free process takes less than 15 minutes without hassle or trouble. A.Exempted for Vietnam visa for at most 30 days: nationals from Thailand, Malaysia, Singapore, Indonesia, Cambodia and Laos. B. Exempted for Vietnam visa for at most 21 days: nationals from the Philippines. C. Exempted for Vietnam visa for at most 15 days: nationals from the United Kingdom, France, German, Spain, Italy, Belarus, Sweden, Norway, Denmark, Russia, Finland and Japan. D. Exempted for Vietnam visa for at most 14 days: nationals from Brunei and Myanmar. E. Exempted for Vietnam visa for at most 60 days: APEC Business Travel Card (ABTC) Holders from Asia-Pacific Economic Cooperation (APEC) member economies. F. Those who travel to Phu Quoc Island, Vietnam and stay there within 30 days are exempted from entry visa. In case of travelling to other provinces or staying there more than 30 days, they will be issued visas right on the spot. *NOTE: Under updated Vietnam Immigration Law which is effective from 01 Jan 2015, to use the visa exemption right mentioned above, the time distance between two continuous entries must be more than 30 days so as to enjoy visa free for both two entries. Otherwise, a visa is required for the second entry.